Swing by our new location and get a FREE Learn-A-Map! Your Flag Headquarters for all American, State, Foreign and Decorative flags. 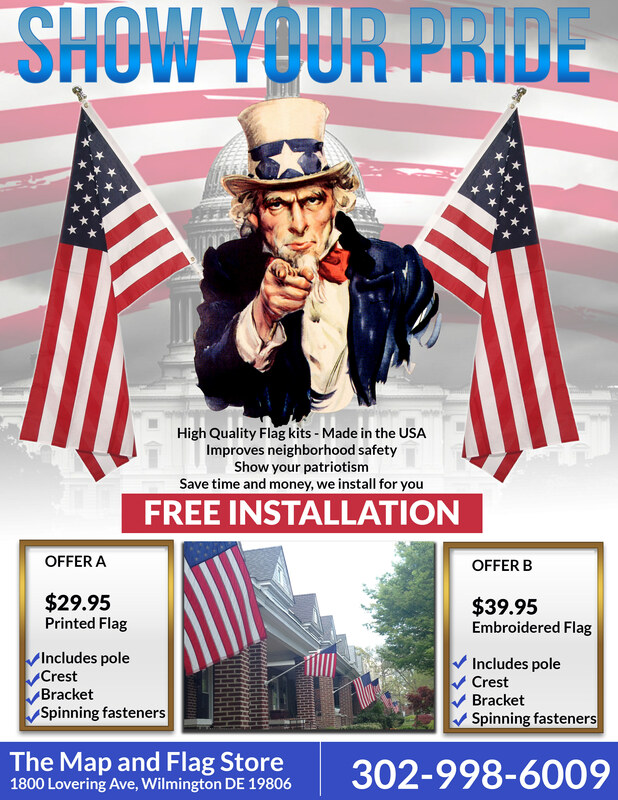 "One of the best-known and most active flag selling shops in the Mid-Atlantic region"
"Friendly service. A pleasure to do business with. I've been getting my flags there for 25 years, and I've never been disappointed."